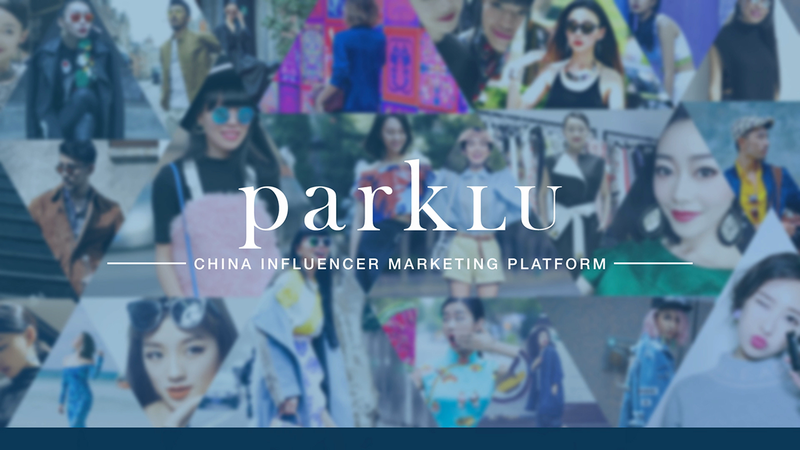 ParkLU's KOL Marketplace allows brands to post potential collaborations to tens of thousands of influencers in the Greater China region, at NO COST. We only take a fee once you've confirmed a collaboration with your brand advocates. In this first step, tell influencers what your brand is about. Select which kind of influencers you want to engage and what social media platforms. In the guidelines, you can be very specific about what you want the influencers to include about your brand or product, and you can choose to have final approval over all posts. 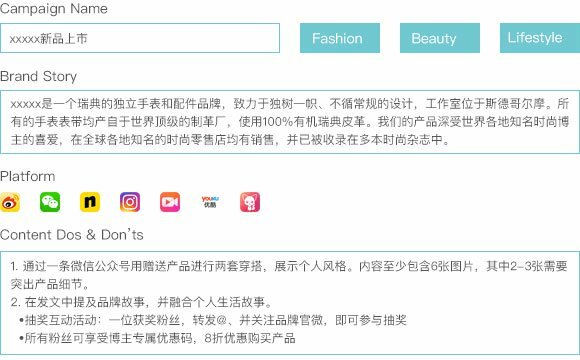 Our influencer post across all major social media platforms in China including Weibo, WeChat, Instagram, Nice, and more. 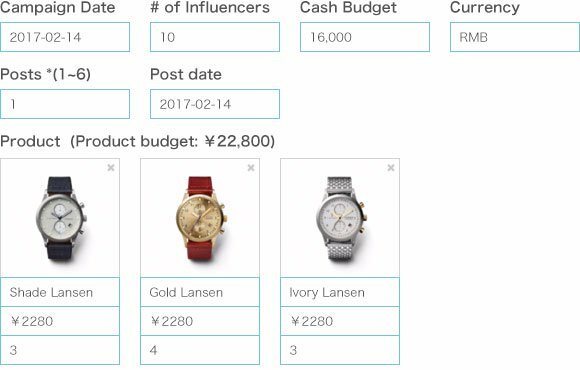 Here, input the desired campaign start and end dates, how many influencers you are looking to engage, and how much cash budget you would like to spend for the campaign. Don’t worry, we won’t disclose your campaign budget to the influencers at any time. If you have product to gift as well, upload photos of the product and label them with a description, quantity, and retail value. 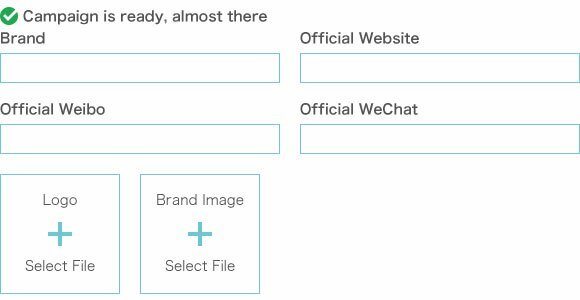 Fill in your brand's official web and social media links, as well as any brand imagery to inspire your content creation collaborators. 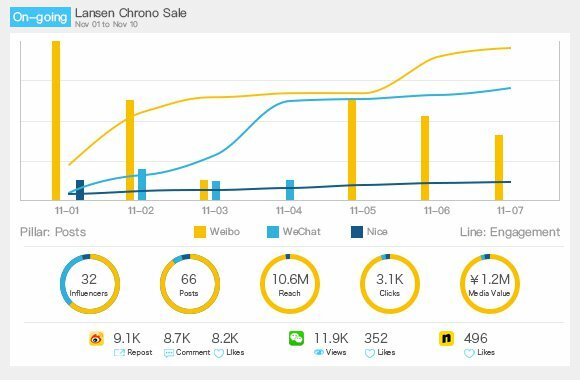 Once approved and live, your campaign gets delivered to our network of relevant China influencers. Interested influencers apply for the collaboration in as soon as 12 hours. Each influencer has her own profile with metrics to help you decide whether you want to engage them. 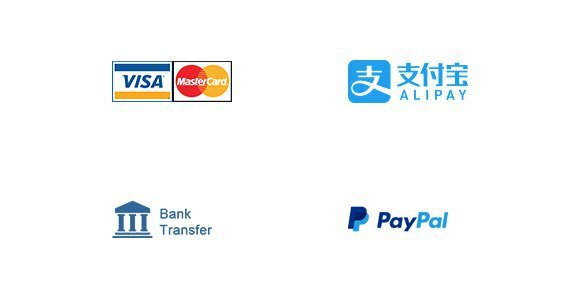 After you have negotiated and confirmed your influencer collaboration, ParkLU invoices you for your campaign, which can be paid by Alipay, credit card or direct bank wire. ParkLU holds influencer payment in escrow until the campaign is complete. 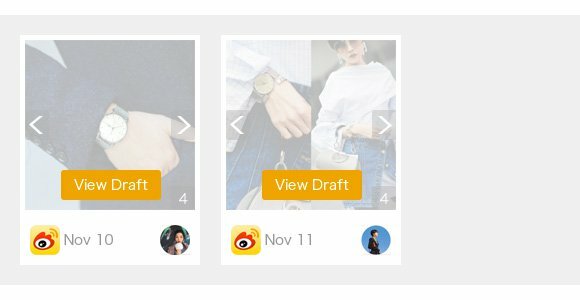 Keep tabs on what posts your influencers have made; you can remind them to post and review draft posts before they go live.